Sally Potter made her first 8mm film aged fourteen.  GINGER & ROSA is the seventh feature film she has written and directed. She has alsomade many short films (including THRILLER and PLAY) and a television series, andhas directed opera and other live work. Her background is in choreography, music, performance art and experimental film.ORLANDO (1992), Sally Potter’s bold adaptation of Virginia Woolf’s classic novel,staring Tilda Swinton, first brought her work to a wider audience. It was followed byTHE TANGO LESSON (1996), THE MAN WHO CRIED (2000), YES (2004) and RAGE(2009). Sally Potter is known for innovative form and risk-taking subject matter and has workedwith many of the most notable cinema actors of our time, including Julie Christie,Johnny Depp, Cate Blanchett, John Turturro, Steve Buscemi, Jude Law, Sam Neill,Joan Allen and Judi Dench. 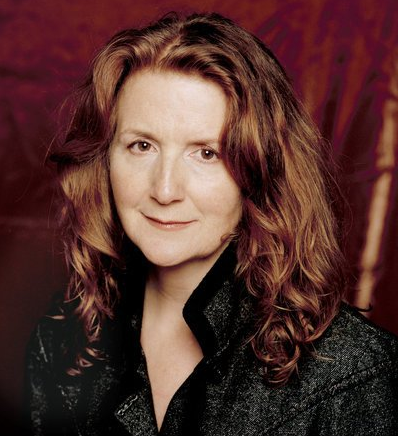 Sally Potter’s films have won over forty international awards and received two Academyaward nominations. She has had full career retrospectives of her film and video work atthe BFI Southbank, London, MoMA, New York, and the Cinematheque, Madrid. She was awarded an OBE in 2012. Christopher Sheppard founded Adventure Pictures when he first joined forces with writer/director Sally Potter in 1990. The Oscar-nominated ORLANDO (1992), starring Tilda Swinton, marked his debut as a feature film producer and was one of the first ever multi-country European co-productions. This was followed by other ground breaking ventures, including the BAFTA-nominated THE TANGO LESSON (1996), THE MAN WHO CRIED (2000) starring Christina Ricci, Johnny Depp, Cate Blanchett and John Turturro, and YES (2004) with Joan Allen, Simon Abkarian, and Sam Neill. RAGE (2009) with Jude Law, Judi Dench and Steve Buscemi, was the first feature film to premiere simultaneously in cinemas and on mobile phones and was nominated for a Webby Award in 2010. Christopher first worked as a journalist, with assignments across five continents. He has also directed many documentary films, including two nominated for Royal Television Society awards, and produced a number of innovative internet projects, including www.SP-ARK.org, the interactive online Sally Potter archive. Andrew Litvin began his career working in development for various British directors and producers including Sarah Radclyffe and Margaret Matheson. He then worked his way up through the production department while producing several of his own films alongthe way. In the last decade he has been line producer on many films including Hideo Nakata’s CHATROOM with Aaron Johnson, Andrea Arnold's Oscar winning WASP and Steve McQueen's HUNGER with Michael Fassbender, which won the Camera D'Or atCannes and the BAFTA for Special Achievement. In recent years Andrew has been co-producer on several films including ALBATROSS with Sebastian Koch and Felicity Jones. Carlos Conti, originally from Cordoba in Argentina and now based in Paris, has an international reputation as one of cinema’s leading production designers. He first collaborated as a set decorator on Jean-Jacques Beineix’s celebrated film, DIVA. He thereafter launched his career in production design. Carlos has designed many of France’s most famous and acclaimed films of recent years such as Beineix’s BETTYBLUE, Andre Techine’s MA SAISON PREFEREE, and Claude Sautet’s NELLY ET MONSIEUR ARNAUD. With his experience in contemporary French cinema and his knowledge of filmmakingin Argentina, Carlos served as production designer on Sally Potter’s THE TANGOLESSON, which was filmed in Buenos Aires and Paris and allowed him to rediscover his roots: Argentina and the tango. He went on to work with Sally again on THE MAN WHO CRIED and YES before reuniting for GINGER & ROSA. Carlos designed Walter Salles’ Cannes competition entry ON THE ROAD as well as his award winning MOTORCYCLE DIARIES. Carlos’s international work includes THE KITE RUNNER, THE GOLDEN DOOR, LES SOEURS FACHEES, GAZON MAUDIT, GROSSEFATIGUE and QUELQUES JOURS AVEC MOI. Robbie shot his first feature in Ireland in 1996, HOW TO CHEAT IN THE LEAVING CERTIFICATE directed by Graham Jones. Robbie won a Best Black and White Cinematography award for the short film THE TALE OF THE RAT THAT WROTEbefore moving to the UK in 1999. Robbie has since shot award-winning short filmsincluding the Bafta awarded SHADOWSCAN in 2001 directed by Tinge Krishnan and also the Oscar winning short film WASP directed by Andrea Arnold with whom Robbie has collaborated on three other feature films: RED ROAD (Grand Jury Prize, Cannes2006), FISH TANK (Grand Jury Prize, Cannes 2009), and WUTHERING HEIGHTSfor which he picked up an Ossella award for Best Technical Achievement in a film at the Venice Film Festival 2011. Other film credits include BRICK LANE directed by Sarah Gavron (2007), SCOUTING BOOK FOR BOYS directed by Tom Harper (2010), PATAGONIA directed by Marc Evans (2011) and THE ANGELS’ SHARE directed by Ken Loach (2012). GINGER & ROSA is Holly Waddington’s first film as Costume Designer, following a career in film, theatre, dance and live performance. She worked as Assistant Costume Designer on films such as LINCOLN (Steven Spielberg), ANOTHER YEAR (Mike Leigh), HAPPY GO LUCKY (Mike Leigh), GLORIOUS ’39 (Steven Poliakoff) and THE OTHER MAN. In 2007 Holly was a finalist in the Linbury Prize for Theatre Design and has been designing sets and costumes for the stage in tandem with her film work ever since. Recent theatre designs include: CROW (Handspring UK), THE DIFFERENCE ENGINE (Lost Dog), SEC_RITY IS NOT COMPLETE WITHOUT U (Installation at AlmeidaTheatre in collaboration with the Belarus Free Theatre), ELECTRA (The Gate), ITNEEDS HORSES (Lost Dog/ Winner of the Place Prize for Dance), BREATHINGIRREGULAR (The Gate), HEDDA (The Gate), ELEKTRA (Young Vic), THE LIFE &TIMES OF GIRL A (Scottish Dance Theatre). Anders Refn has edited over 50 feature films, documentaries and television programmes. His recent editing credits include Henning Calsen’s MEMORIA DEMIS PUTAS TRISTES (2011), Jeremy Weller’s LIMBOLAND (2010) and Lars von Trier’s ANTICHRIST (2009). His other work includes his award winning work on vonTrier’s BREAKING THE WAVES (1996), P.O.V. (2001), BABY (2003) and TID TILFORANDRING (2004). Anders also wrote and directed STRØMER (1976), SLÆGTEN (1978), THE FLYINGDEVILS (1985), SORT HØST (1994), and SETH (1998). Amongst TV directing creditsare EN GANG STRØMER (1987), TAXA (1996).